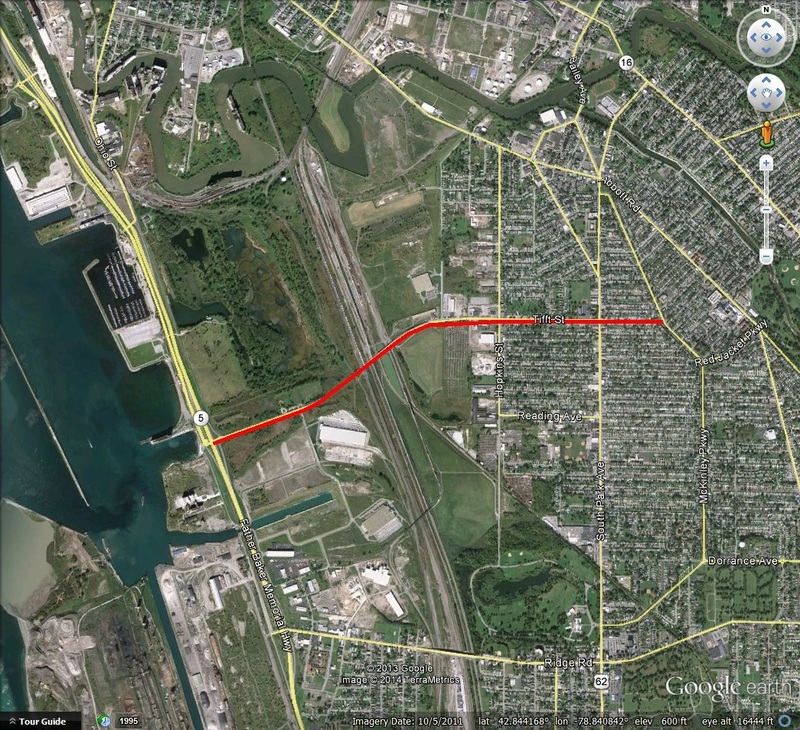 Tifft Street forms an important east-west path in South Buffalo, running from McKinley Parkway to Fuhrmann Boulevard/Route 5. 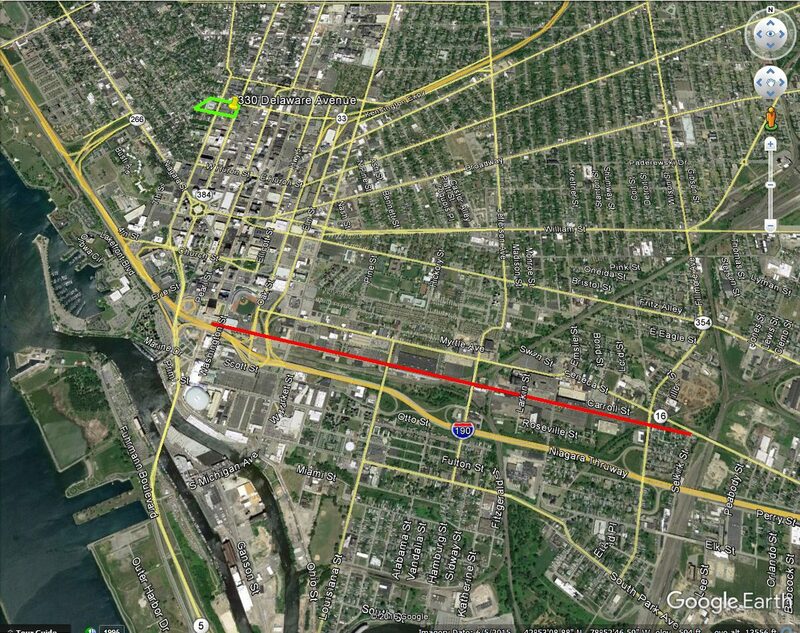 It is one of the few streets in South Buffalo that reaches the waterfront. The road is named after the man who first owned the land in the vicinity of the street, G.W. Tifft. George Washington Tifft was born in January 1805 in Nassau, Rensselaer County, New York. 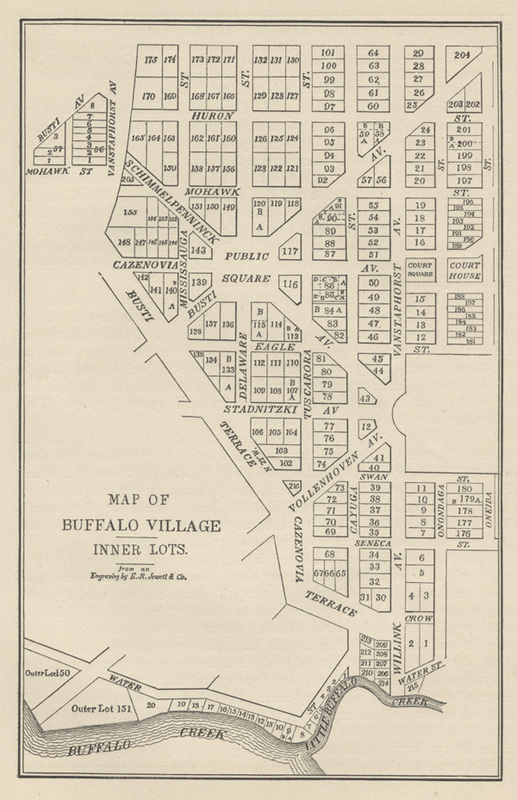 One of Tifft’s first land purchases was 5 acres in Orleans County. He cleared the land to sell the wood. He hired men to chop timber, realizing that he could reap a profit on the labor of each man. He later bought a more land and hired additional men to work for him. By the time George was 21, he had saved $1,200. Mr. Tifft received another $1,000 from his father’s estate, and began a new business venture. He first traveled to Michigan City, Indiana, where he bought grain to ship to the east. At the time, all grain was shipped through the lakes. 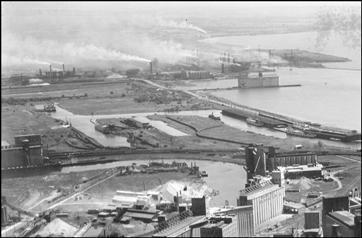 While in Michigan City, he learned of Buffalo’s shipping and moved to Buffalo in 1842. Mr. Tifft formed a partnership with Dean Richmond, a member of a prominent Buffalo family. 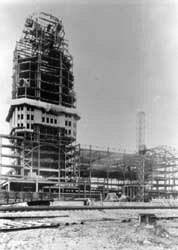 Mr. Tifft set up the Troy and Michigan Six Day Line, named b/c it did not operate on Sunday. He purchased more mills to increase his commercial holdings. 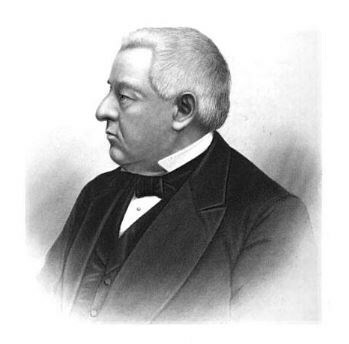 Mr. Tifft established the International Bank of Buffalo and was the first president of the bank in 1854. He invested $100,000 in the Buffalo Steam Engine Company and was elected president of the New York, Lake Erie and Western Railroad in 1858. He then turned his attention to his Buffalo real estate holdings. In 1863, Mr. Tifft erected 74 houses, a hotel (the Tifft House) and the Tifft Grain Elevator. The Tifft House hotel opened in 1865 and was demolished in 1902, after serving as a hotel during the Pan American Exposition, and was replaced in 1903 with the William Hengerer Company department store. Mr. Tifft also purchased a 600-acre tract of land in the southern portion of Buffalo which people referred to as the Tifft Farm. Mr. Tifft was among the first in Buffalo to experiment with growing “winter wheat”. He invested his money in the Pennsylvania coal fields and experimented with smelting processes. His vast land holdings spread across the country – he owned a 5,000-acre farm in Shelby county, Iowa which was stocked and cultivated. 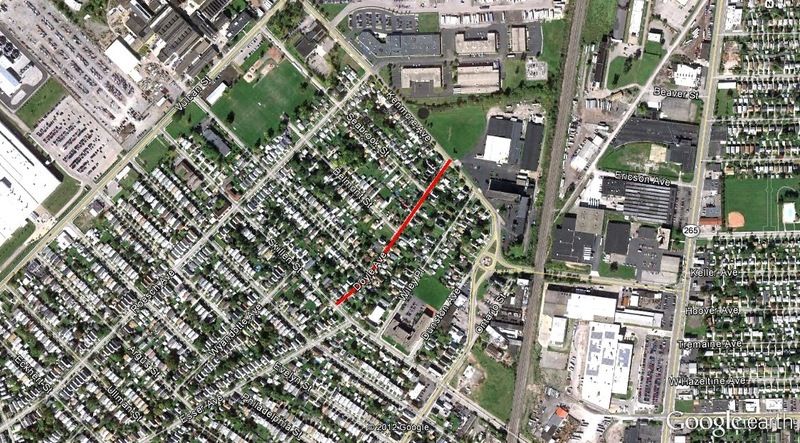 The large Tifft Farm tract in South Buffalo was broken up into residential and industrial areas when Mr. Tifft sold it to Pennsylvania capitalists who leased the land to the Lehigh Valley Railroad Company for 50 years. The Lehigh Valley Railroad Company constructed 11,400 feet of canal to connect a system of canals on the Tifft Farm property with the City Ship Canal and Buffalo Creek (now Buffalo River). They also constructed 9,280 feet of dock on the Tifft Farm, each dock had railroad facilities and totaled 20.6 miles of railroad. Today, Tifft Farms has been renamed “Tifft Nature Preserve” and is managed by the Buffalo Science Musem. The preserve was created in 1972 from 264 acres of land the City of Buffalo purchased for a landfill site. Concerned citizens worked with city legislators to plan for preservation of the area. The landfill incorporated safety measures, which allowed the land to serve a new purpose and the preserve opened in 1976. The former canals have been allowed to revert to nature and now form Lisa Pond, Beth Pond and Lake Kirsty on the Nature Preserve site. The “mound” area of the preserve contains landfilled waste materials brought on site from Squaw Island. During the 1980s, approximately 100 drums of acid sludge from a nearby industrial plant were found dumped into Lake Kirsty. 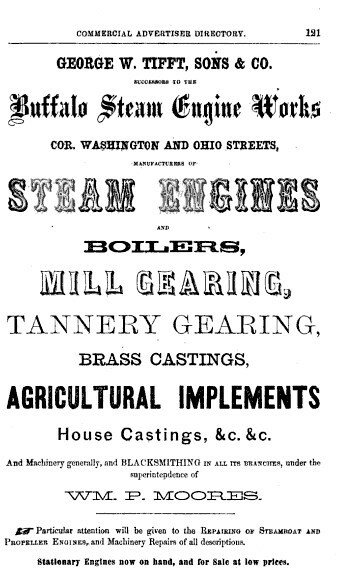 Mr. Tifft’s later years were spent managing the George W. Tifft Sons and Company, successors to the original Buffalo Steam Engine Works. He also owned a group of stores at the corner of Washington and Mohawk Streets and had a furniture business there. George Washington Tifft married Lucy Enos in 1827. They had seven children. Mr. Tifft was an active supporter of the Republican Party and an admirer of President Lincoln. Mr. Tifft donated large sums in support of the Civil War, and also towards charities, always considering that he had been blessed to have made his fortunes and eager to help others. Mr. Tifft died on June 24, 1882 and is buried in Forest Lawn. 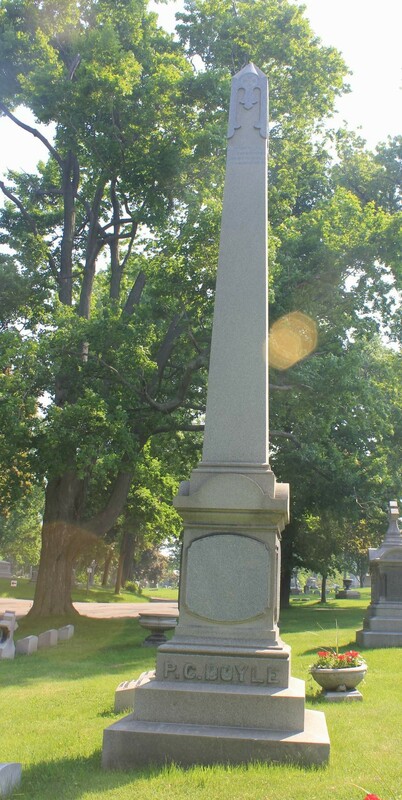 There is also a cenotaph for George at the Tifft Cemetery in Nassau, New York, located on the former Tifft homestead. One obituary read: “His name was a tower of strength, and was sought in every movement requiring moral, social or financial support. He filled a large place in the affairs of the city he has done so much to build up. His name will long be enshrined in the hearts of a people that had learned to know his worth and appreciate his virtues”. Check out how other streets got their name in the Street Index. 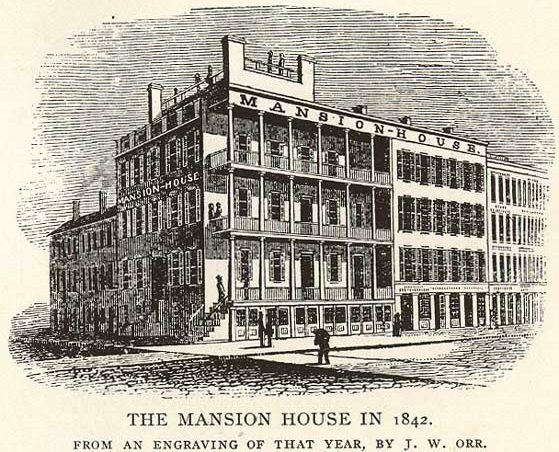 Buffalo Directory, 1860, pg. 12. Mansfield, John Brandts, editor. History of the Great Lakes. Volume 1. J.H.Beers & Co: Chicago. 1899. Magazine of Western History. Western History Co. Mar 1886.